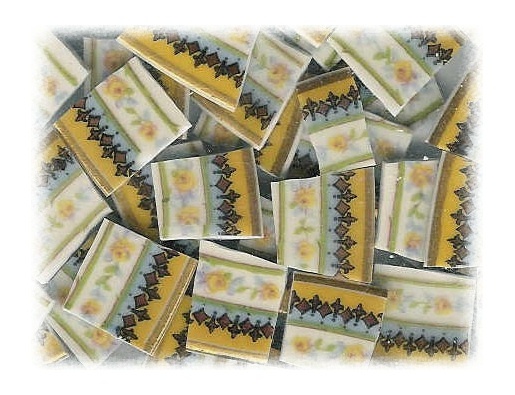 23 tiles from Haviland china plates. Yellow roses, green leaves, blue & brown & green & gold accents, gold rim on white china. All rim tiles.